This story was commissioned by ReVista, the Harvard Review of Latin America. People interviewed for this story claim they or neighbors have been burned out of their homes and that others have been murdered. They live in a string of towns along the Rio Grande in an area slated for energy production and rapid infrastructure construction. 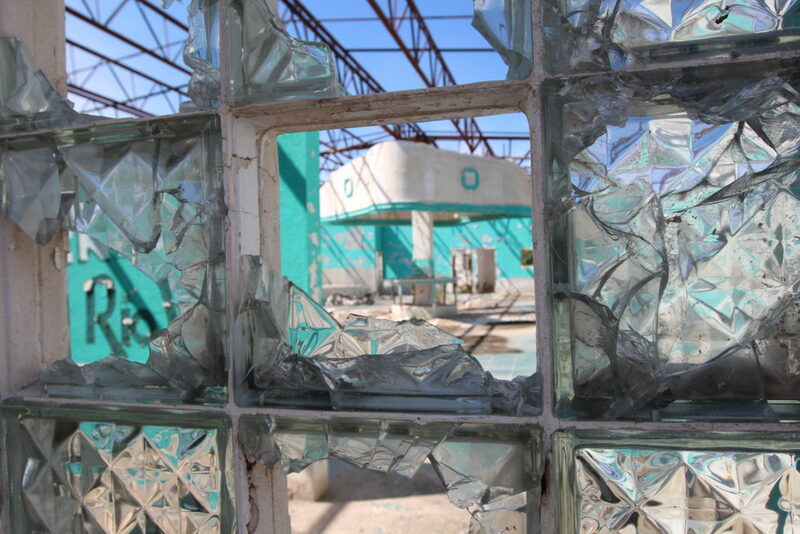 Shattered glass marks the entrance to an abandoned dance hall in Guadalupe, Chihuahua. One of those towns is Guadalupe, a few minutes from the United States border across from Fabens, Texas, but a world away in terms of security. 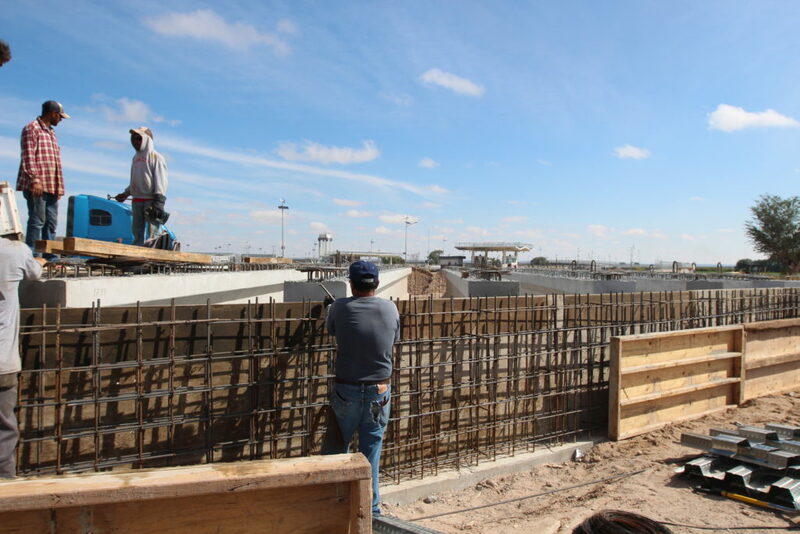 Construction on a superhighway and a state-of-the-art international border crossing is underway here. 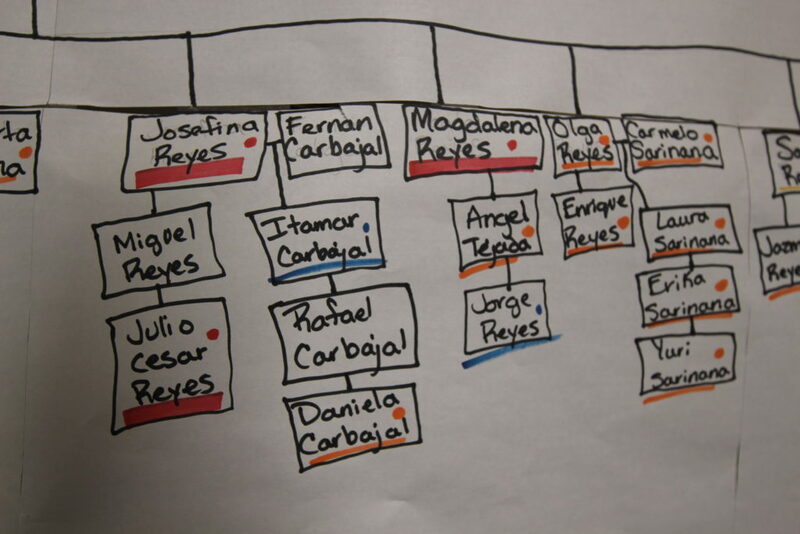 According to Mexican census rolls nearly 10,000 people lived here in 2005. The mayor — who declined to be interviewed — claimed in local media that this year only about 1,000 people remain. One man, who like others asked not be identified for fear of retribution, explained what has happened. “The government sends people here to pressure landowners to get out of here, to say, ‘go away, we don’t want you here,’ ” he said in Spanish. The charge is vehemently denied by Chihuahua’s government. The man said wealthy buyers then show up to grab the vacant land. Analysts suggest buyers are arriving because Mexico’s state-owned oil company PEMEX is exploring for oil and gas in northern Chihuahua. The region shares geological characteristics of the Permian Basin of Texas and New Mexico, the highest-producing oil field in the United States. “Obviously this land is being re-consolidated in the hands of a few,” said Tony Payan, Director of Rice University’s Mexico Center in Houston. With oil and gas development and plans for pipelines, desert land no one cared about is now valuable. Chihuahua’s Secretary of Public Works told a Juárez newspaper in September that he won’t reveal the exact routes for new roads because the government doesn’t want to fuel land speculation. I asked another person about that. He laughed derisively. “It’s always about power and money,” he said in Spanish. He alleged that bureaucrats and politicians are now in the real estate business, acting at the very least as a middleman to sell land to investors. “They are using, it is quite clear to me, that information for themselves in a way that they can position themselves as a political class to profit from this industry in the future, oil, gas and the pipelines themselves,” Payan said. Back in Guadalupe, physical evidence suggests that someone doesn’t want people here: burned houses, shattered glass and very few people on the street. The narrative in Mexican media is that the violence is a consequence of turf wars between cartels. But some residents are skeptical. They sense, but can’t prove, that outside investors are working with organized crime to terrorize people into fleeing, leaving their land to be scooped up. The state can legally seize land and homes for unpaid property taxes. Residents said repeatedly that no economic activity, legal or otherwise, takes place without the government knowledge and tacit sanction. Mexican authorities cited in media reports say at least 300 people have been killed in Guadalupe since 2008 — mayors, police, city councilors, business owners and human rights activists. People are learning hard lessons about real estate. Julián Cardona is a photographer from Juárez. He was the photographer on a story about the Juárez Valley with Mexican journalist Ignacio Alvarado Álvarez published by Al Jazeera America. “You know the rule. Location, location, location,” Cardona said. He’s watched a slow-motion depopulation unfold here. He said residents tell him that authorities do nothing. Pipeline companies in Texas are historically granted the right of eminent domain, to seize private land because the transport of energy is deemed to be in the public’s interest. “In the United States, it’s a lawful eminent domain. In Mexico it’s outright violence,” said El Paso lawyer Carlos Spector. 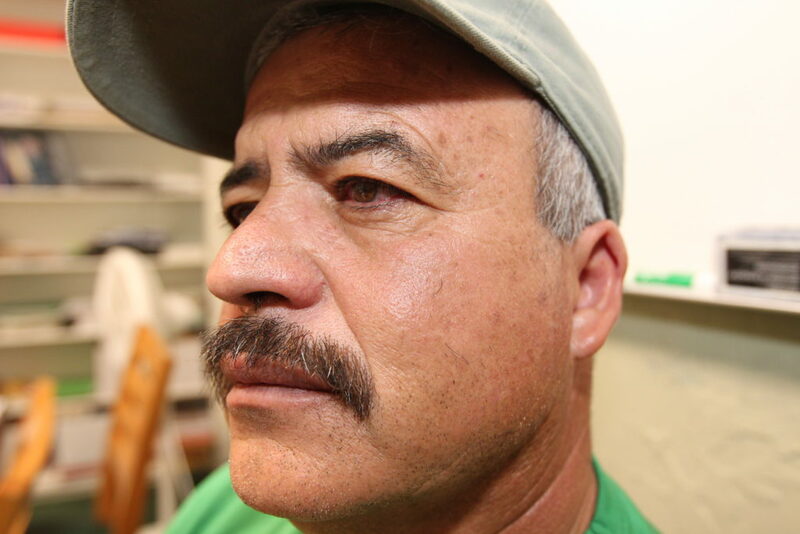 He represents 250 former residents of the Juárez Valley, many from Guadalupe, now seeking asylum in the U.S.
“Investors are getting very aggressive,” said Spector, founder of Mexicanos En Exilio, or Mexicans in Exile. People who remain in Guadalupe say that former neighbors who have fled are anxious to sell their now-abandoned land for cents on the dollar because they’re too frightened to even contemplate coming back. Martín Huéramo is one of 250 former residents of the Mexican border town of Guadalupe, now seeking asylum in the United States. “I received several threats, not just one,” he said in Spanish. Huéramo was a city councilor in Guadalupe in 2010. He had opposed the mayor’s resolution that would allow the local government to expropriate land to sell to energy speculators. The week after he entered the United States, two women on the city council were killed. They had opposed the same resolution. This was confirmed by two independent sources. The year before, two of his brothers-in-law were murdered. 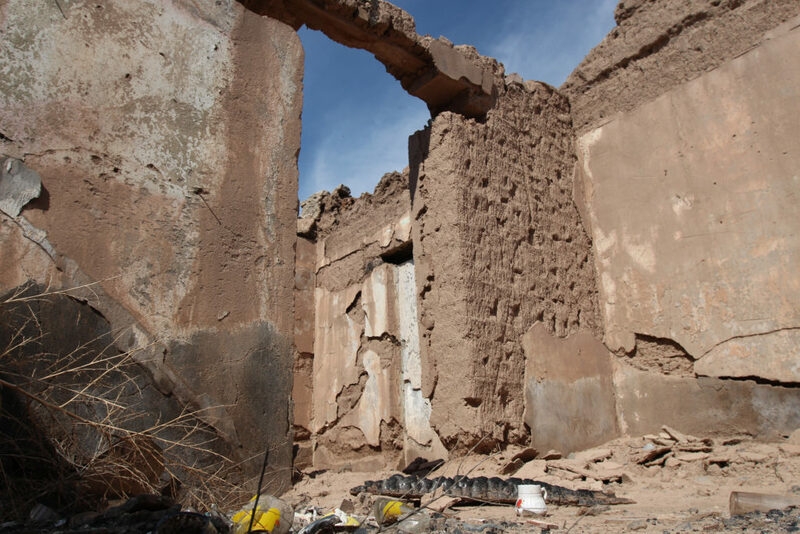 “Families in the Juárez Valley have lost loved ones,” he said. “It’s a message saying they have to leave the Juarez Valley. 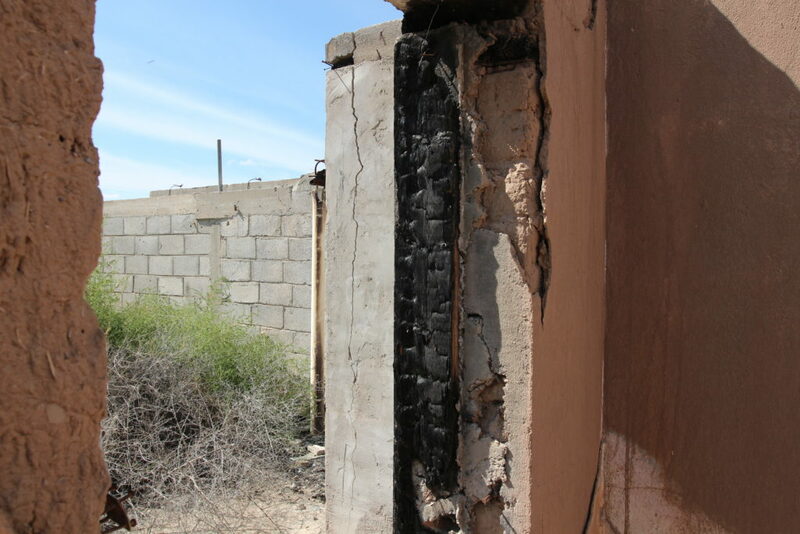 Residents says violence rose in the Juárez Valley in 2010 after the murder of Josefina Reyes Salazar killed on the outskirts of Ciudad Juárez. She had led the Mexican side of a successful binational campaign to stop a nuclear waste dump in Sierra Blanca, Texas, just across from Guadalupe. And she had spoken out about land displacement in the Juárez Valley. An art gallery administrator from Ciudad Juárez, Gabriela Carballo, compares opposition to pipelines in Guadalupe to conflict in the U.S. over the proposed Trans Pecos Pipeline. It would ferry natural gas from Texas into Mexico. “As a Mexican I can say that we care as much about the environment as any one of these people that are fighting the Trans Pecos Pipeline,” said Carballo. As for alleged land displacement in the name of energy in Chihuahua, she said it’s not easy to take a stand under the actual or perceived threat of retribution. “If we speak out against it, we run the risk of our really extremely corrupt government murdering us,” she said. There’s no way to verify such a claim. And Mexican officials are quick to refute it. “Violence is minimal right now and no one’s been affected by plans for pipelines,’ said Arturo Llamas in Spanish. He’s Chihuahua’s pipeline and energy infrastructure regulator. “It’s our responsibility to be sure that laws are obeyed and that everything that must be done is done properly,” he said. He also said he wanted anyone with a complaint to contact his office in Chihuahua City. But few people alleging harm are likely to approach a government they don’t trust. He recalled a visit June 24, 2015, when Chihuahua Gov. César Duarte made a brief stop in Guadalupe. 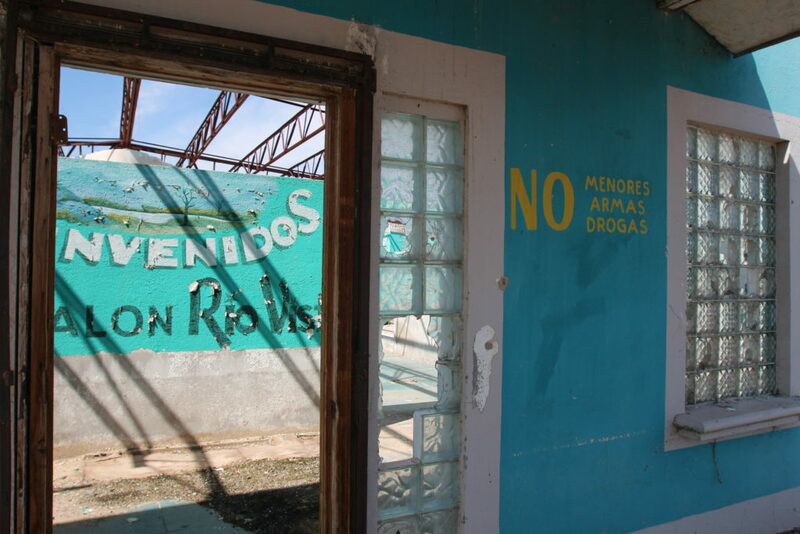 “The governor visited in Guadalupe and the mayor ordered the empty buildings and house along the main avenue painted in bright colors — glowing yellow, green, blue, pink. 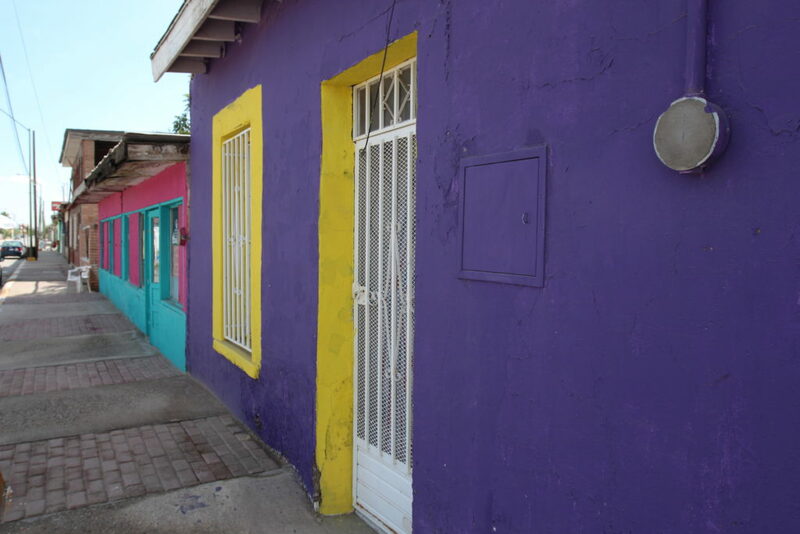 The fact the houses were painted in bright colors is like a smokescreen of what’s really going on,” Cardona said. As for Martin Huéramo — the former Guadalupe city councilor seeking asylum — he says he would have no issue with energy production or pipelines if they did not involve, in his words, people being forced out. He doesn’t believe government claims that laws are being followed and things are being done properly. This entry was posted in fronteras npr stations, Photography, Print, Radio, Resources. Bookmark the permalink.